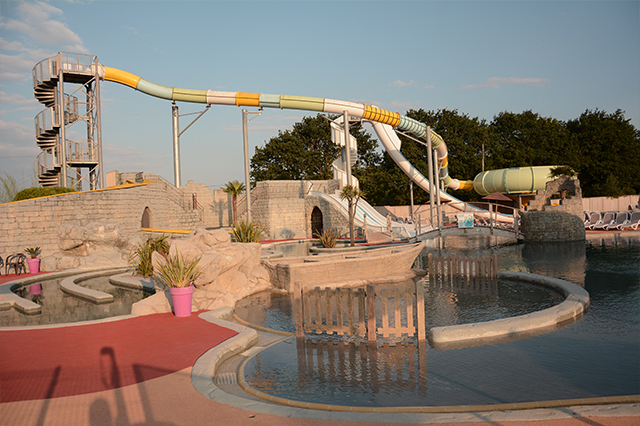 The waterslides of the camping club area of Léveno. 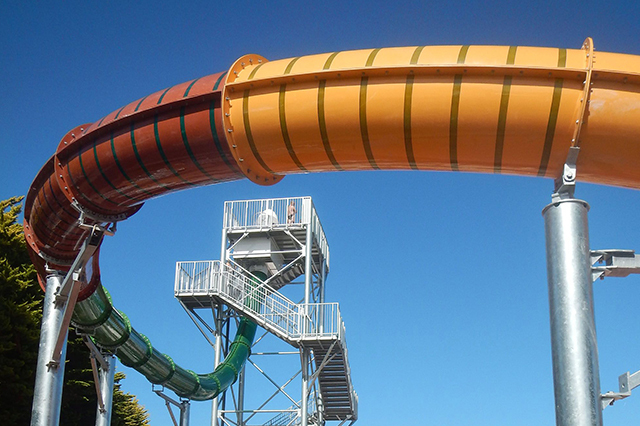 The water park of the Camping Club Domaine de Léveno presents its incredible water slides for unforgettable thrills. Enter the extraordinary and face your limits with breathtaking experiences traditionally accessible in large parks. Keep with you the unforgettable memories of a delirious sensory adventure. In addition to the toboggans accessible to all (the toboggan adapted from the covered and heated indoor paddling pool, the toboggans of the aquatic playground for children, the various slides located on the leisure park including the one with several tracks), Capi has decided to put "the pack" with incredible slides that will not leave you indifferent. 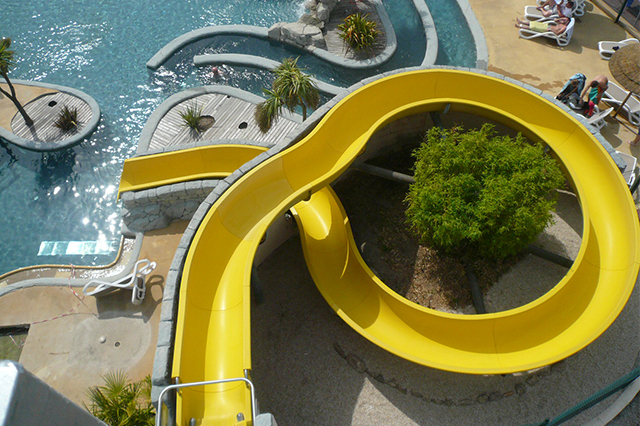 These incredible water slides are only accessible in July-August. They may be open for certain periods such as Easter holidays or Pentecost and Ascension weekends. For information, contact us on 02 40 24 79 30 or directly by email via the form available on the tab on the right side of the page. 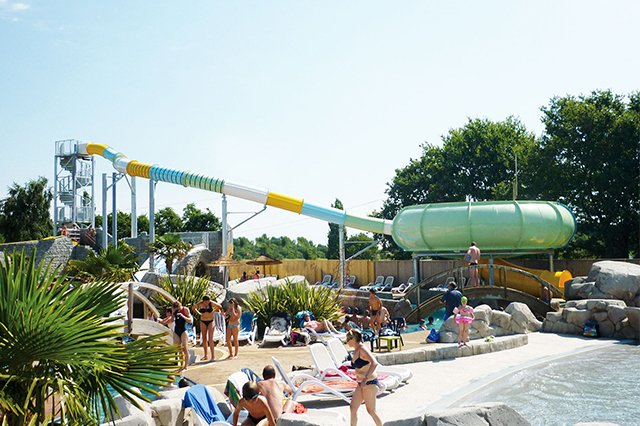 Find one of the largest water slides of campsites in the South Brittany region. Climbing the stairs, you join a platform perched 12 meters high. That’s enough to make you feel full before you slide into more than 40 meters of dark-filled tube and bright colored rings, an exceptional visual effect. Reach the bowl of the Space Hole and turn inside a top of about 10 meters in diameter to finally let you attract by the conduit that joins the basin of reception. Imagine standing with your legs crossed, your hands resting on your shoulders. You are on the rocket looping. From the platform to 17 meters high, you see the mythical bridge of Saint-Nazaire. For a moment, a deep breath, the hatch on which you stand vertically disappears and propels you to a breathtaking sensation of free fall. The Domaine de Léveno is the only campsite in France to offer you this crazy toboggan, reserved for the most courageous and worthy of the big parks. Dare to fill up with a strong sensation at lightning speed with the Kamikaze toboggan from the Léveno camping club in South Brittany. A concentrated chill invades you for a moment on this attraction that rises to 8 meters in height. 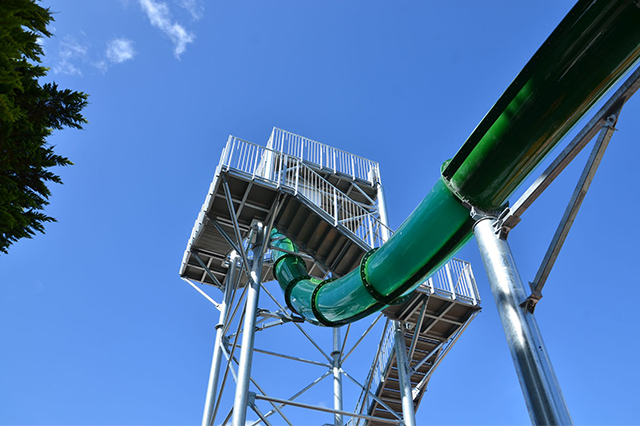 A half-tube covers the first part of the descent, preventing you from "poking your nose" in this surprisingly vertical slide. 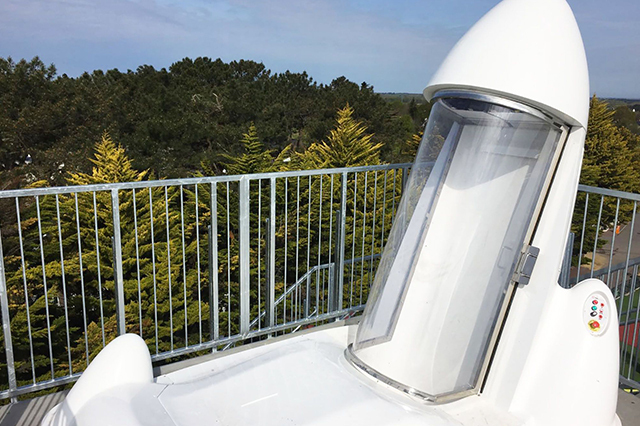 To discover immediately and exclusively on your campsite near La Baule and Croisic on the Atlantic coast. In the various attractions presented, it should only descend one person at a time, feet forward and hands behind the head (except for the looping rocket on which a member of the team of the basin accompanies you to ensure a descent in perfect safety). You engage your responsibility by not respecting the various safety instructions. We recall that accidents can occur when these rules are not followed.